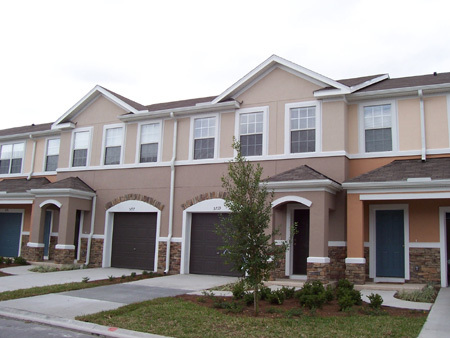 Stonefield at Bartram Park Townhomes and Courtyard Homes in Jacksonville, Florida. 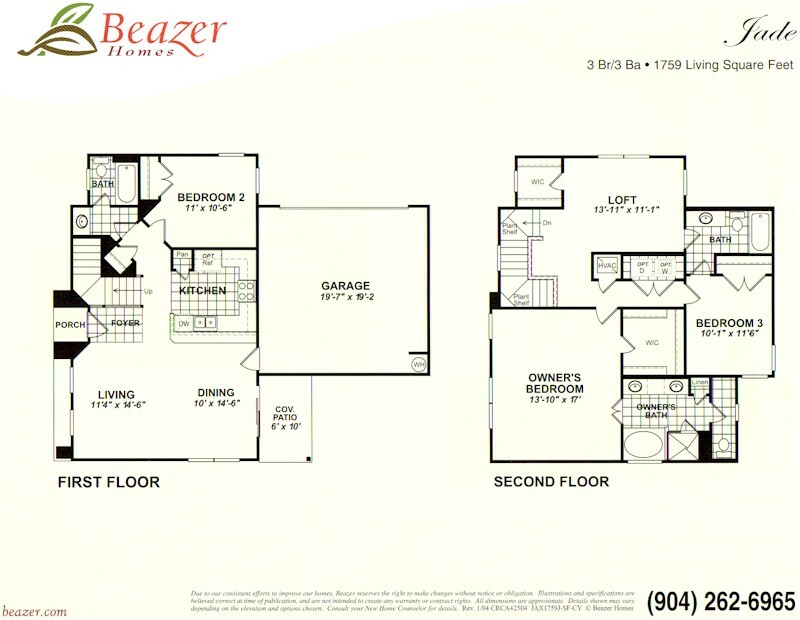 Stonefield at Bartram Park is a gated residential community by Beazer Homes with 440 residences located in southern Duval County on St. Augustine Road with a convenient location near schools, office parks and shopping, with easy access to I-95. 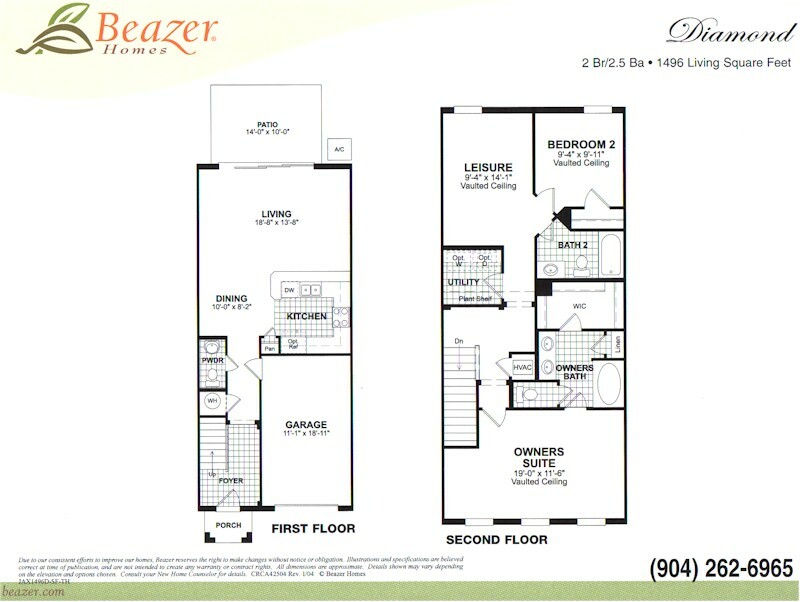 Community features include conservation and lake views, swimming pool, and cabana. 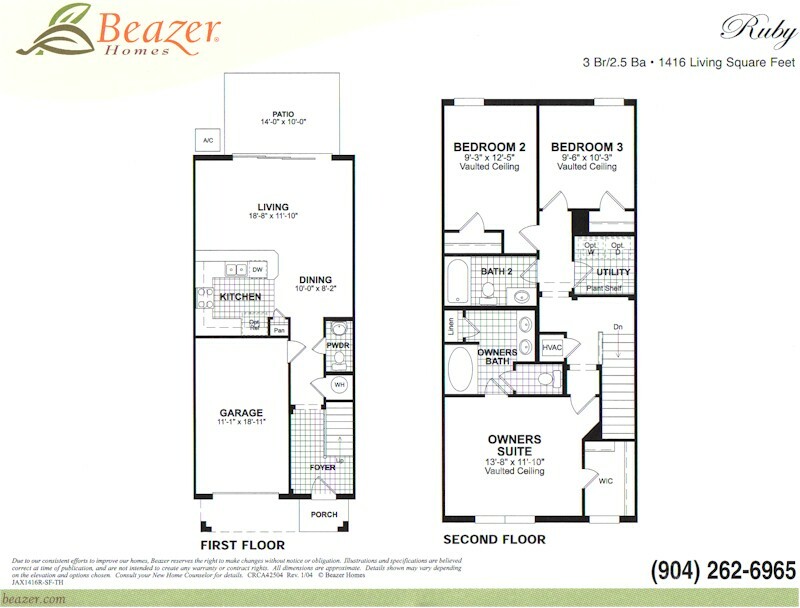 There are three plans for Classic courtyard homes: the Amber, Jade, and Turquoise. 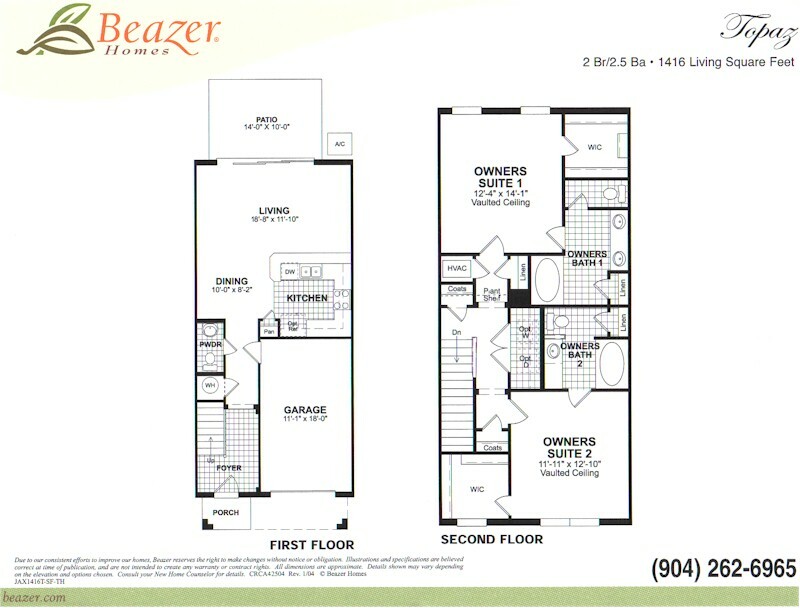 Courtyard homes feature open flowing spaces in 2-story, 3 bedroom with 2 car garages. 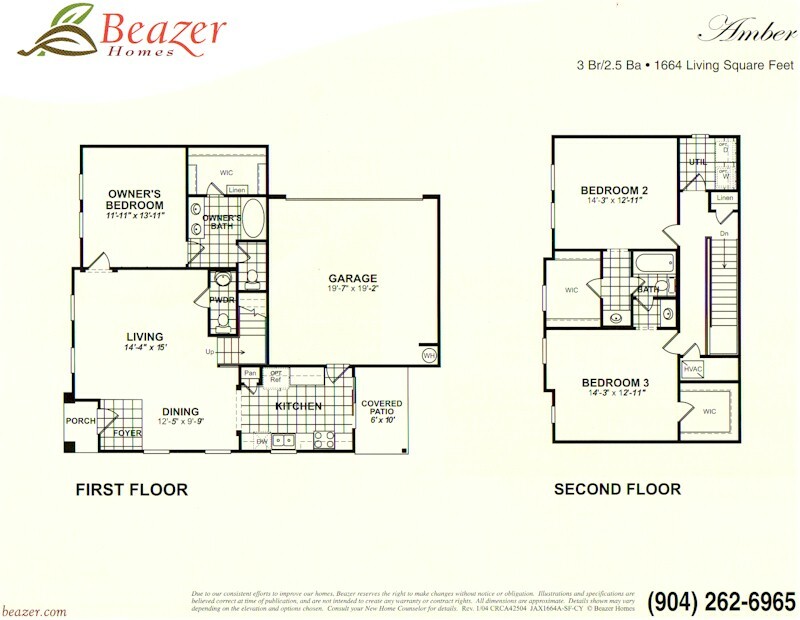 There are six plans for townhomes: the Sapphire, Ruby, Topaz, Diamond, Amethyst, and Emerald. 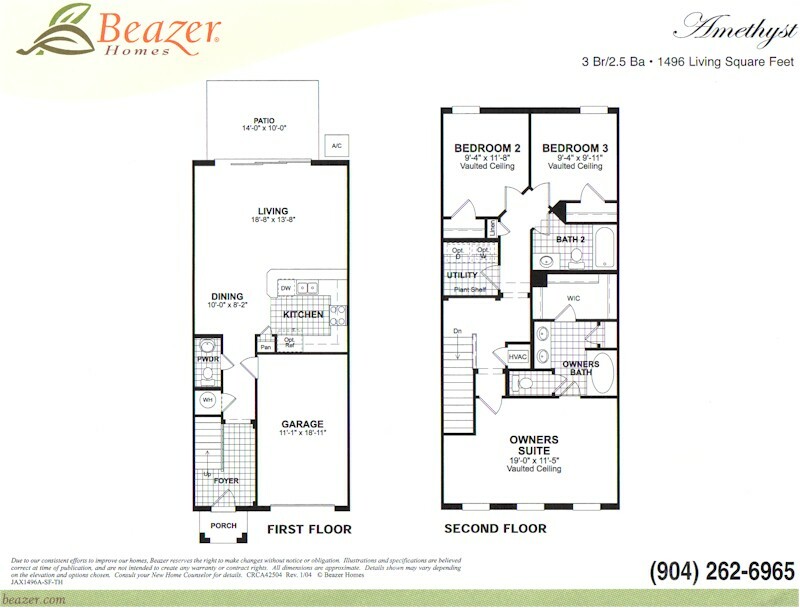 Town homes feature 2-3 bedroom, 2.5 bath with 1 car garages. 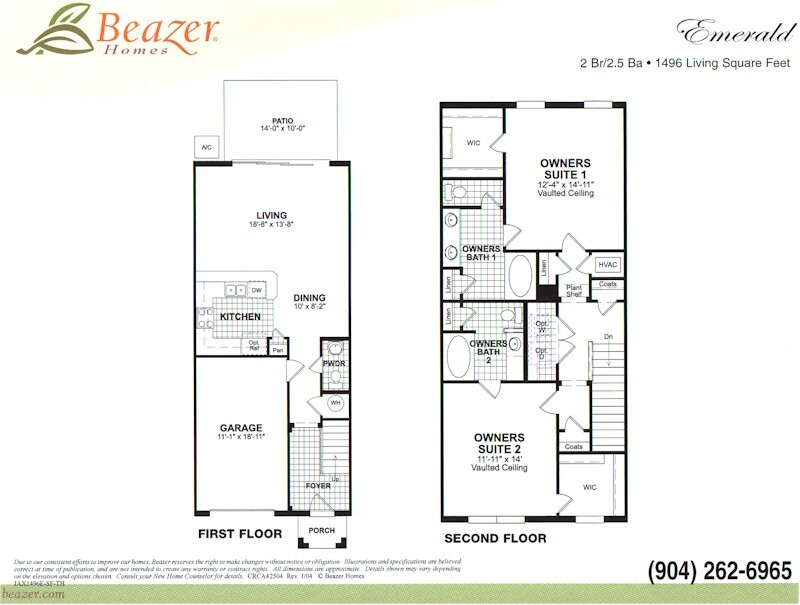 Call me today at (904) 307-8998 for private tour and showing. 14' X 10' Patio, Covered Porch leading in to Foyer. Combination Living/Dining Room, w/ Pass Thru from Kitchen. 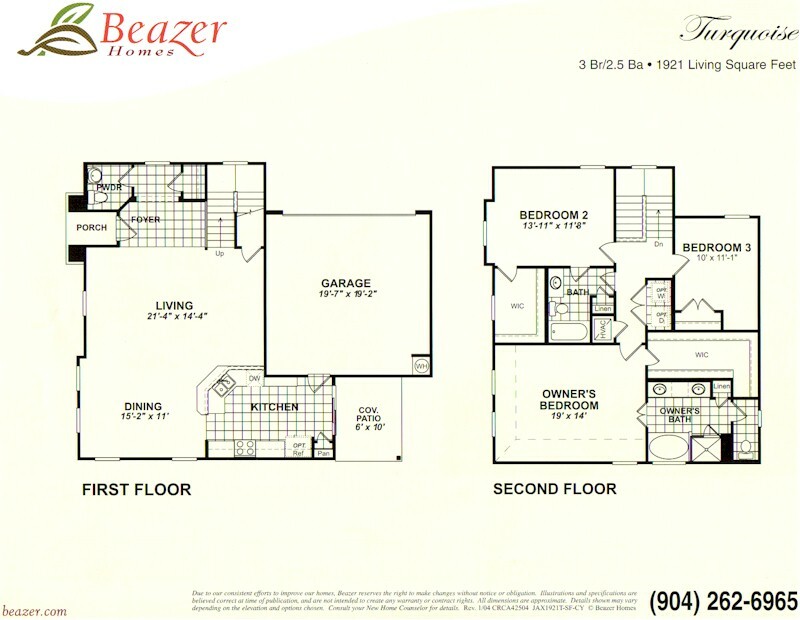 Vaulted Ceilings in the Double Owner's Suite, each with individual full bath's. 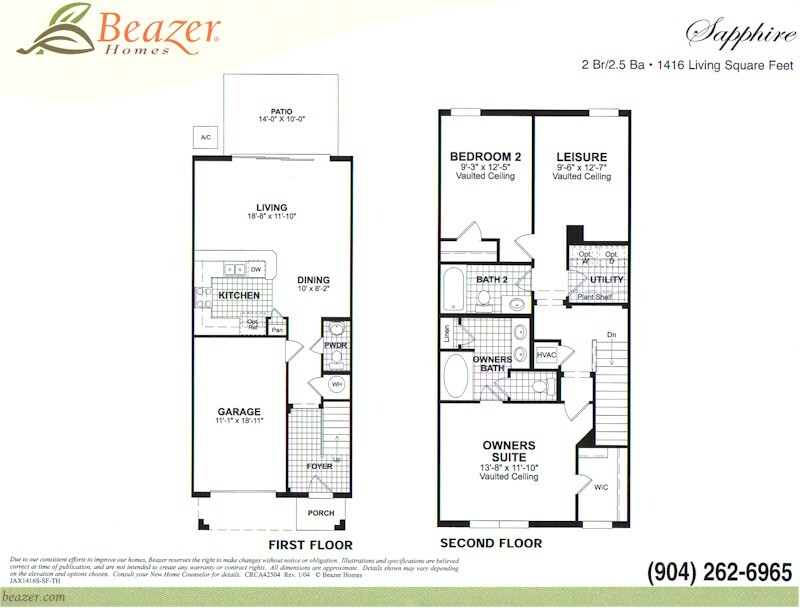 Covered Porch leading in the Foyer, 14' X 10' Patio, Kitchen w/ Pass Thru, Owners Suite's have Vaulted Ceilings.